Thanks to all that joined us at ideation2017 in Los Angeles! It was great to meet so many of our AccuMark users in person. Don't forget about the new Data Conversion Manual. It's a great reference! Starting in V10.4 there is a new Data Conversion Manual. This guide is automatically installed and can be accessed from the Process Tab in AccuMark Explorer. It contains detailed explanations and useful tips for converting data. Consult this manual the next time you have a question with importing or exporting files. Identifying the file type and source is the key to success with data conversions. When in doubt, there is a new option available in V10.4 to streamline DXF conversions. This feature will detect whether or not you are importing an ASTM/AAMA or a Standard DXF file. Take the guess work out of file checking and give it a try! 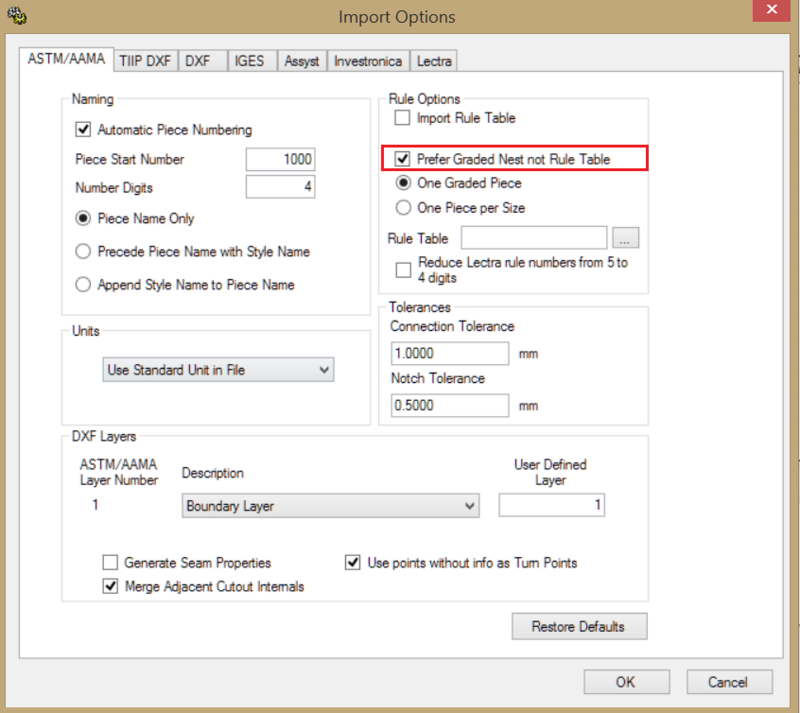 There is a new ASTM Option to import a style as a graded nest when the rule table is missing. This is helpful when you are sent the ASTM dxf file without the correct .rul file. It will still allow the style to import.